F. Scott Fitzgerald said there are no second acts in American life, and Thomas Wolfe said you can't go home again, but on Sunday I recreated a cake for my children that I last baked for them nearly two decades ago. And both of them were home together (a rare occurrence) to witness and enjoy the result. 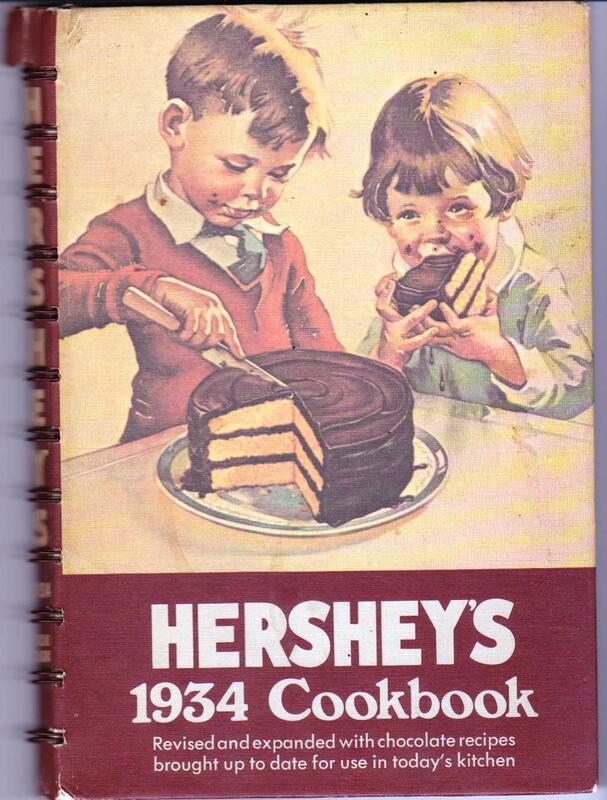 Of course, my children look nothing like the two Norman Rockwell-ish angels pictured on the cover of the Hershey's cookbook that contains the recipe for this classic Three Layer Gold Cake. Not only are they much older, but much less innocent (note my son's rather prominent tattoo). If I were one of those perfect mothers who organized family pictures in albums (as opposed to tossing them in big plastic bins that are taking over our basement storage area), I'd be able to post a picture of the first act of this story, the original cake and my young children who more closely resembled the two on the book cover. But back to the cake. 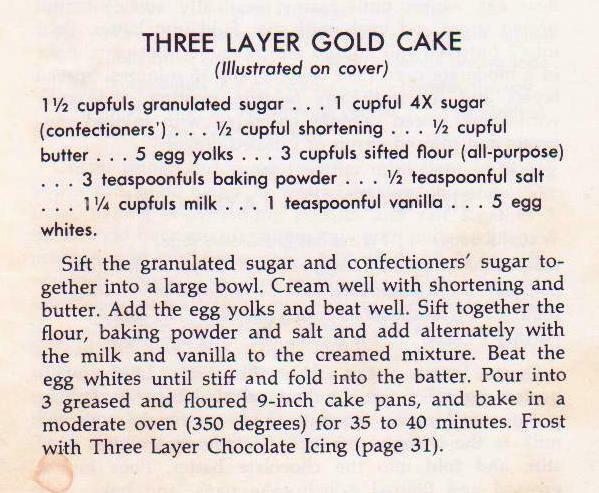 Whatever your family status, I strongly support the baking of this cake. It's fairly easy and mighty impressive. Like many cakes from the 1930s, this one involves separating the eggs and whipping the whites up in another bowl. Kind of a pain, because one needs to either wash the beaters (for egg whites to whip properly, all the equipment must be squeaky clean), or have a second set at the ready, and it adds another step. But folding them into the batter (pictured below) does make for a lighter, more delicate cake. The original 1934 cookbook was updated (to include such "improvements" as margarine and no-stick pans!) and reissued in 1971. Every recipe promotes Hershey's chocolate and cocoa. But for the frosting, I decided to use unsweetened chocolate from Scharffen Berger, considered the best artisenal chocolate company in the United States since its founding in Berkeley, California, in 1996. It was only just a few minutes ago, while writing this, that I remembered that Scharffen Berger was purchased by Hershey's a few years ago! Oh I've been searching for this recipe for years! I made this cake for my dad's birthday several times when I was a kid. This was his favorite - or at least that's what he told me! :) Thanks for posting! So glad to hear this, Anonymous. Thanks for writing!